A Sticker For Your Thoughts. Stickers have become widely used in today’s world, from brand stickers on the Chiquita banana you ate for breakfast, to the “At Least its Paid For!” bumper sticker on that rusted 1990 VW Golf you saw on the way to work. Stickers are here, and are a prevalent part of our cultural landscape. possessions) found throughout the village. Many companies and organizations have used stickers as very effective marketing tools to promote their products or events. Some examples of classic Whister Stickers we have in our collection. 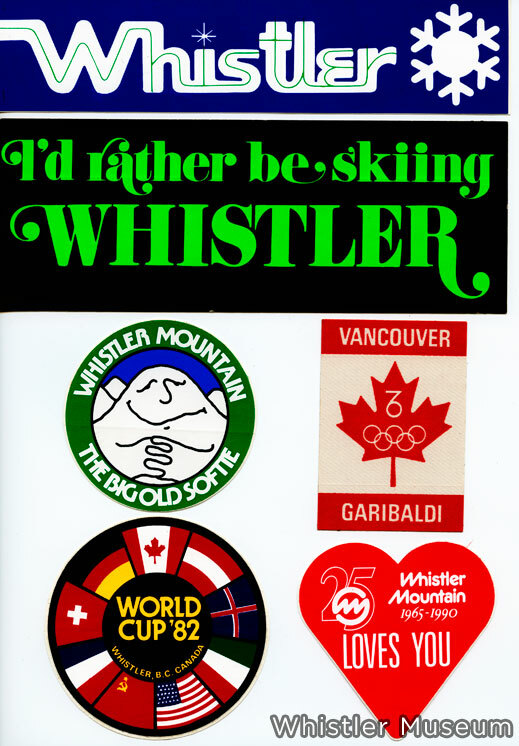 The Museum has a small collection of vintage Whistler stickers in our collection ranging from stickers promoting Whistler’s bid for the 1976 winter Olympics, to heartwarming advertising campaigns such as “Whistler Mountain the Big Old softie” of years gone by. Vintage screen-printed Garibaldi lifts sticker. One of the more interesting artifacts in the Museum exhibit is a fridge donated by Gord Harder. 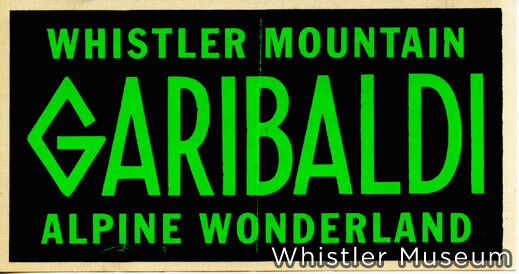 Covered in stickers from Whistler’s early days in the 1960s until 1998, it stands as a tribute to the spirit of the early ski bum, a chronological monument documenting whistler life from the beginnings of our ski town to the famous destination resort it is today. 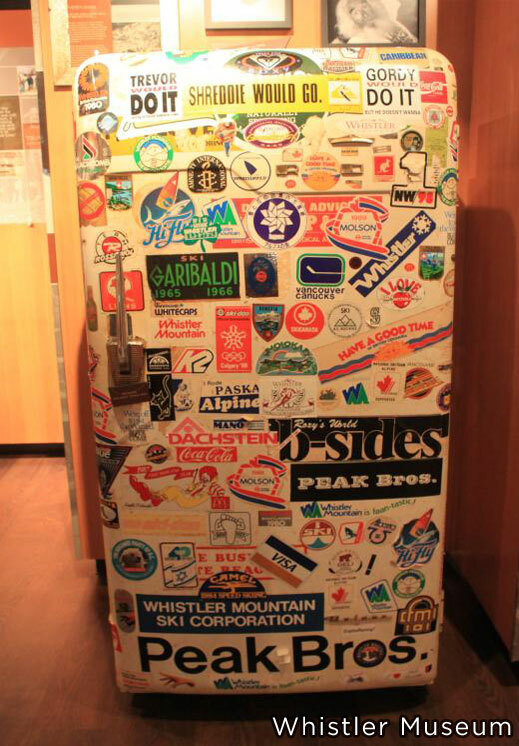 Come check out Gord Harder’s Fridge at the Whistler Museum. This entry was posted in Olympics, Skiing, Whistler Blackcomb. Bookmark the permalink.